Been holding off on buying Sony's latest gaming console, or just looking for a solid, network-capable Blu-ray player? 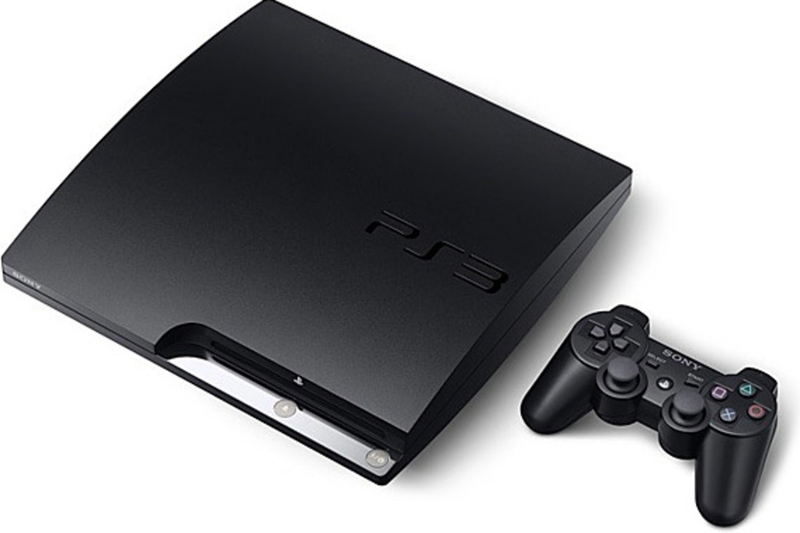 Say hello to the PS3 Slim ($300; September 2009). As the name suggests, the revised console takes up 32 percent less space and uses 34 percent less power than its comparatively gargantuan predecessor, while still offering HDMI and optical digital audio output, built-in Wi-Fi, dual USB ports, a 120GB hard drive, and, of course, that aforementioned Blu-ray drive. Beer and gaming go together like Mario and Luigi, and the Arkeg ($4,000) offers up plenty of both. 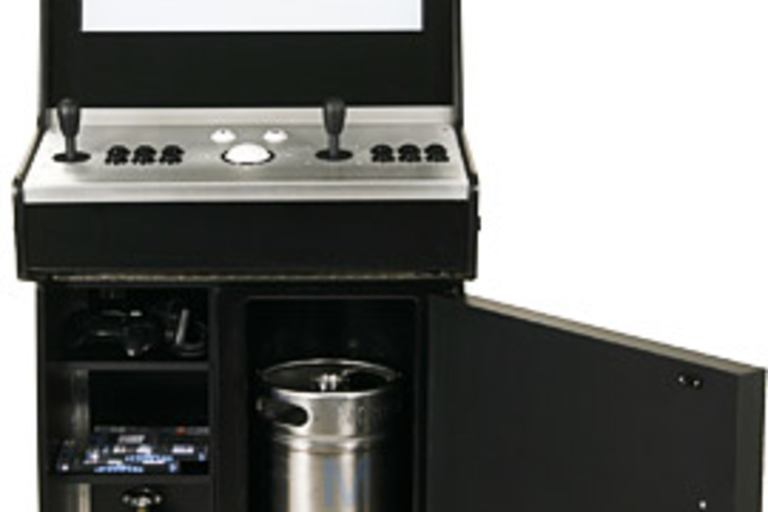 This arcade game-styled machine features a fully functioning kegerator in its belly, with room for a 5 gallon keg kept cool by a solid-state thermoelectric cooling system. In addition, it sports a gaming-ready PC, pre-loaded with 69 games such as Asteroids, Mortal Kombat II, and 1942. Other features include a 24-inch LCD with protective overlay, an authentic backlit marquee, a 2.1 sound system with powered sub, two complete arcade controllers and a trackball mounted in a custom aluminum panel, a side-mounted tap with interchangeable handle, and more. 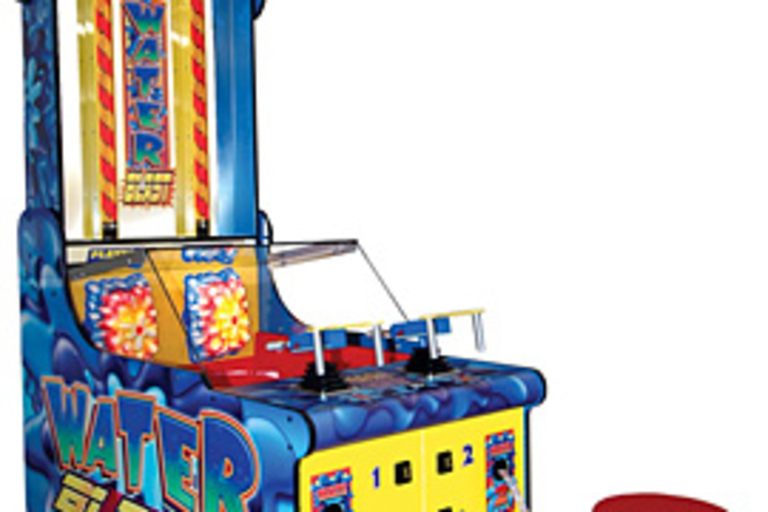 Found at theme parks, state fairs, and arcades, this authentic Water Blast Arcade Game ($11,000) is guaranteed to liven up the atmosphere in your party room or office. It features rapid water-shooting guns, flashing lights, lighted marquee, and arcade sounds, all to be enjoyed while aiming your stream at the bulls-eye while watching your accuracy meter — shown in lights — rise to the top. No quarters (or tokens) required. 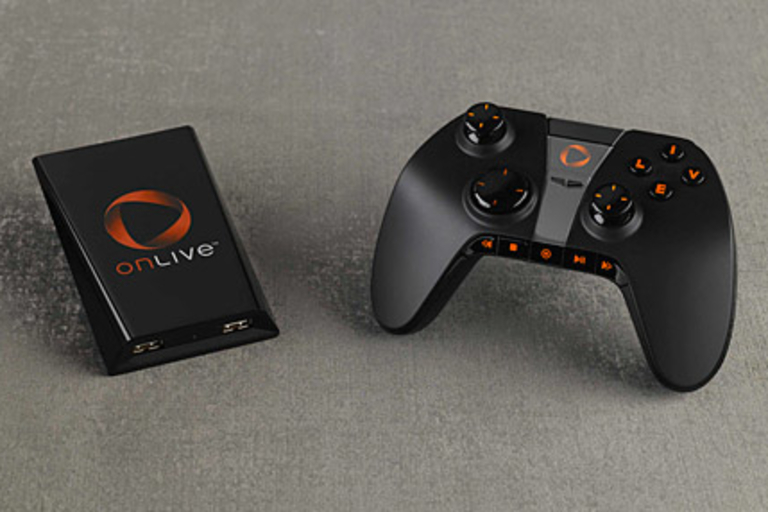 Could this no-name device give you more fun than your iPod and PSP combined? Sure sounds like it. 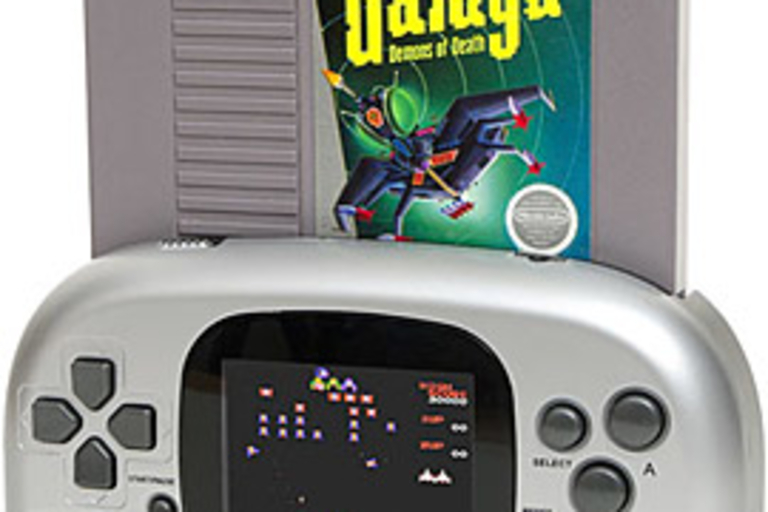 The Pocket Retro Game Emulator ($100) plays NES, SNES, GBA, Sega Genesis, and Neo Geo roms, and when you're done with the classics, the device can play movie files, music files, view photos, read eBooks, and more. 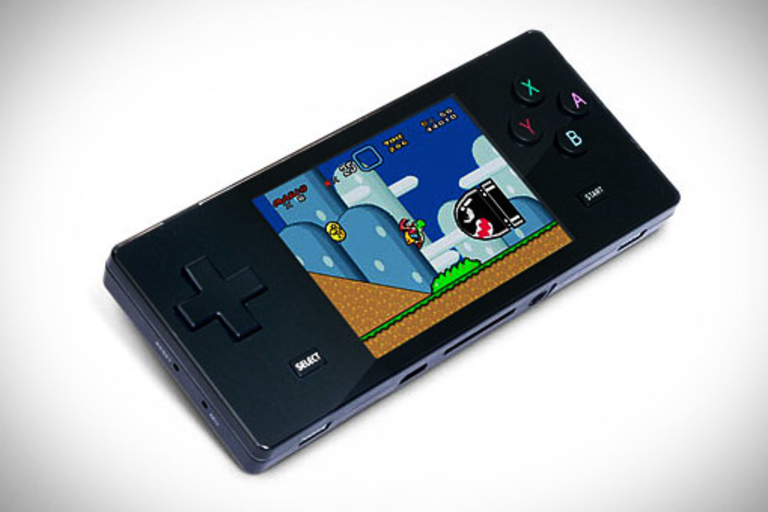 About the size of a GameBoy Micro, the device features 4GB of built-in storage, a mini SD slot, a 2.8 inch QVGA (320x240) LCD screen, a built-in FM radio, built-in stereo speakers, and an internal rechargeable li-battery. Sure, there are plenty of ways to play NES games on the go, but most of them don't take actual cartridges. The Retro Mini Handheld NES System ($50) is like the Game Boy that never was, with a 2.4-inch LCD screen, a top-loading slot for NES titles, AV output, built-in speakers, a headphone jack, and the ability to run up to eight hours on 4 AA's. Sure, it's fun to play guitar on Rock Band or Guitar Hero, but it's hard to really rock with the standard guitars. 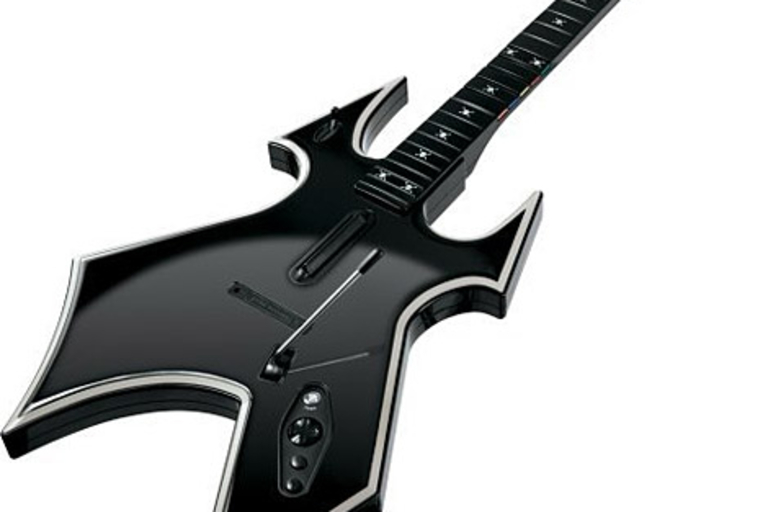 The aptly-named WarBeast Wireless PS3 Guitar ($90) solves this problem with a wicked B.C. Rich design, and tons of extra features like an extended strum bar, dedicated "Star Power" button, a slide switch to choose which game you're playing, a removable face plate, and more.